Marine and transportation claims and ship construction contracts. Peter received training in negotiation and the mediation process from the Stitt Feld Handy Group. He practiced corporate/commercial law for several years, with an emphasis on private mergers and acquisitions, financial institutions, shareholders agreements, and transportation law. He has acted for major financial institutions on credit agreements and security transactions. Peter is a former Managing Partner of McMillan LLP. 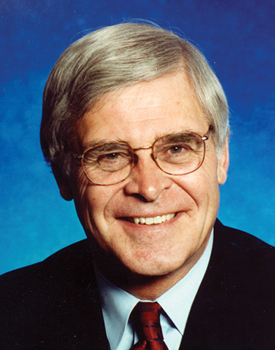 He was lead counsel to the consortium that assumed the management and control of the St. Lawrence Seaway and managed the McMillan LLP team in the preparation and negotiation of the several complex agreements that were entered into with the Government of Canada including the letters patents, by-laws and governance procedures relating to the St. Lawrence Seaway Management Corporation. Peter is a former member of the Board of Directors of the St. Lawrence Seaway Management Corporation as the representative of the Province of Ontario and a former member of the Board of Trustees of the National Gallery of Canada. He was Chair of the Governance Committees of both entities. He is a current or former officer of several Canadian corporations and charitable organizations including the Governor’s Council of St. Michael’s Hospital Foundation, Chair of the Geoffrey H. Wood Foundation, the Investment Advisory Committee, Archdiocese of Toronto and the Board of Governors, University of Windsor. Peter is ranked in the Guide to the World’s Leading Shipping Maritime Lawyers, in Lexpert and in Best Lawyers in Canada and has been a frequent speaker at national and international conferences on corporate and transportation matters. Peter can be reached through the Toronto office of ADR Chambers.